Now Open Monday evenings until 8 pm! We wanted to share our new extended hours, including Monday evenings until 8:00 pm. This is a great new opportunity to unwind in our reading areas, grab some reading and audiobooks for road trips, use our computer facilities or maybe spend some time with your little ones in our children’s area! 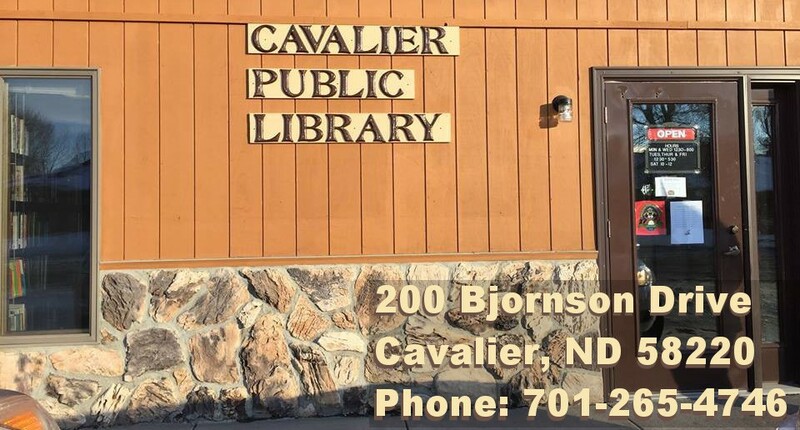 As a reminder of being a member of the Cavalier Library, you also have exclusive access to thousands of eBooks and Audiobooks through the Overdrive app to use on your smartphones, tablets, kindles and computers. Please visit this Overdrive Link for more information and contact us if you need help with anything.